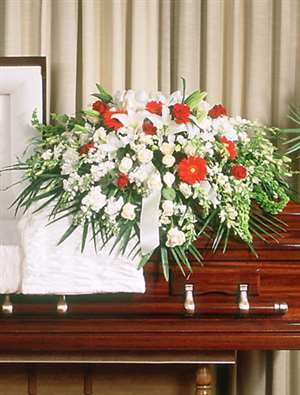 Aprropriate for an open casket.This cascading and full cover, in all white with roses and lilies , is a resonating display for the top of the casket. Approx. H 15" X W 34" x D 48"